A white room in the middle of nowhere. It has nothing special. A single light illuminates the room. But it's not simple as that. 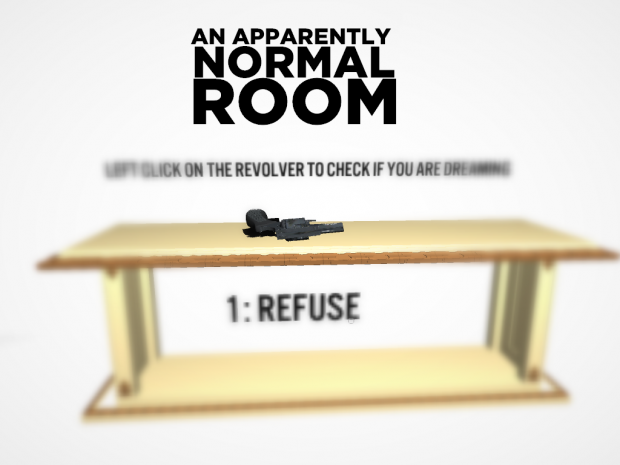 An Apparently Normal Room V1.0 Released! In An Apparently Normal Room you will be trapped in a single room, a white small room with only a single light. A non-visible monitor will talk to you and you will be able to decide what to do, what to say, obey or dissobey. But it's not simple as that. The experiment will put you in a lot of situations, ones will be enjoyable and anothers difficult to decide. It has been nearly a half-year since the announcement of the game, and finally I'm here with the release! Enjoy this experimental interactive game with multiple endings and issues that make you think for a while. It's a short but impressive game. Thank you to those of you that have supported this game. If you have any problems with the game, tell me. white room in the middle of nowhere. It has nothing special. A single light illuminates the room. But it's not simple as that. An Apparently Normal Room Update 2: News, videos and screenshots. An Apparently Normal Room is still alive! New information, a new video and some new screenshots! An Apparently Normal Room Update: News, videos and screenshots. 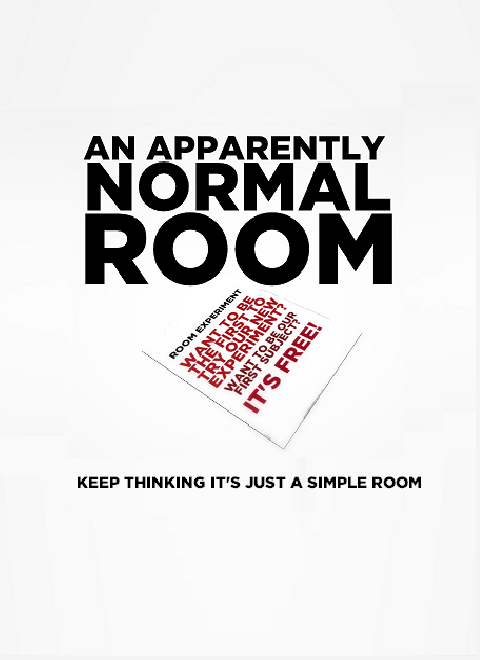 An Apparently Normal Room continues improving! New information, a new video and some new screenshots! After two horror titles, I come back to what I started. A non-direct sequel to Insert Title Here. @Anothink I need help starting up the game. It keeps on showing me a weird message. Oh and...I Am Trying To Start Up "Insert Title Here" But it keeps on acting like a virus! 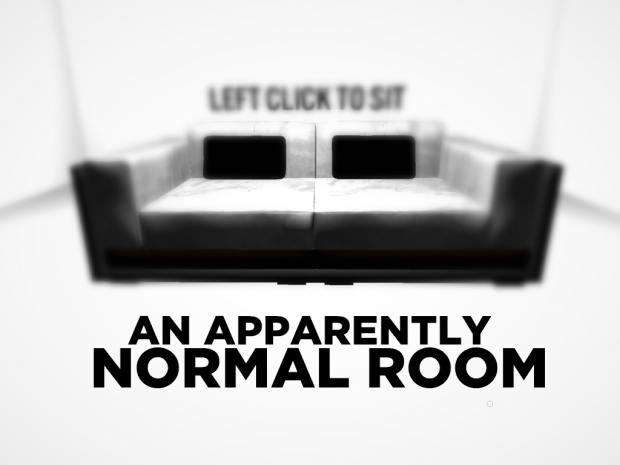 The concept that is An Apparently Normal Room puts the player in a seemingly empty room where things begin to happen. More could have been done to utilize this unknown space, but, unfortunately, nothing happens beyond the pointing and clicking to completion. Very interesting game! The TV part was quite disturbing! Aside that, a silly experimental game I say! Are there any jumpscares in this game? found a bug.if the tv appears and you press press 1,you will come back to the "the experiments?" part.not sure if that is a bug or just like that. but so far i got two endings.how many endings does this game have? and can you refuse to smile when the birthday cake appears? HUGE IMPROVEMENT OVER "Insert Title Here"! Weird, but good. Just wish it was a little longer. Thanks! Saw the gameplay, cool!